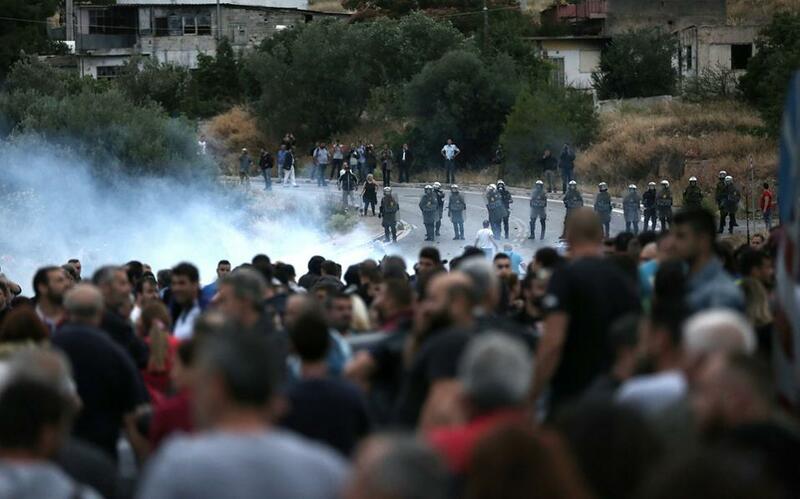 A protest march against crime by local residents in the area of Menidi, eastern Attica, turned violent on Monday night after a group of youths threw petrol bombs and stones against riot police at the train station, who responded with tear gas and stun grenades. Local residents protested against drug trafficking in the area and expressed anger against the Roma living nearby. The train tracks at Aharnon train station have been blocked by protesters.